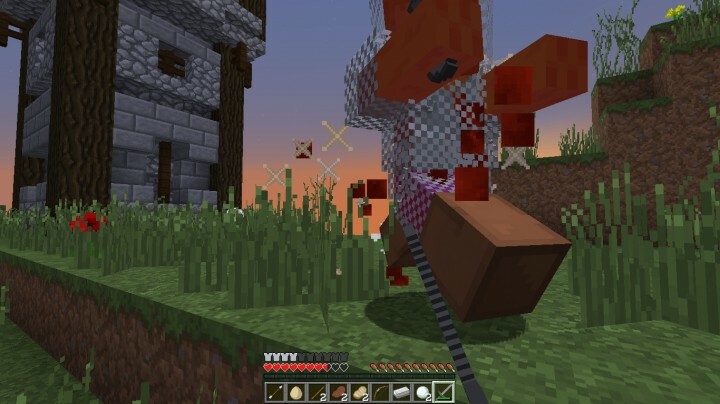 For all of you that don't know what syndicate games is: It's a pvp game where you fight 1vs1 against another player and collect weapons, food, armor etc in chests around the map. 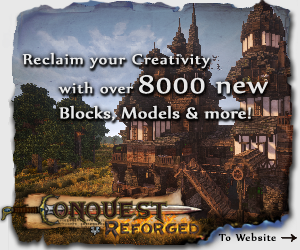 You have no friends or want a completely new pvp feeling? Then this map is the right for you! (Also if you don't want the mentioned things it is the right for you!) 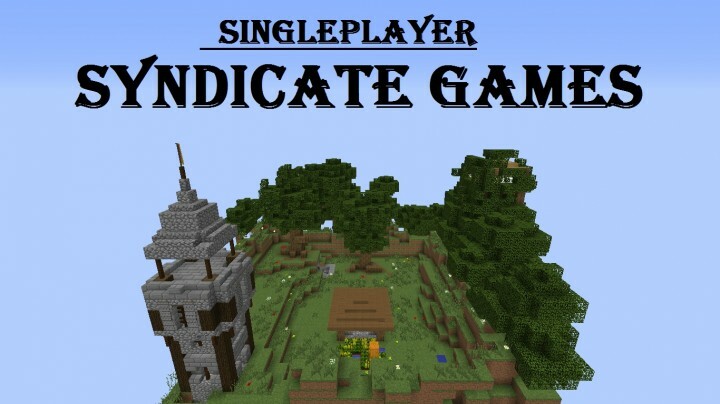 This map is a Syndicate Games map BUT it is created to be played in singleplayer mode! That's right! A multiplayer game for singleplayer mode! you don't need to find a server, wait untill the game starts and then get killed by hacks! 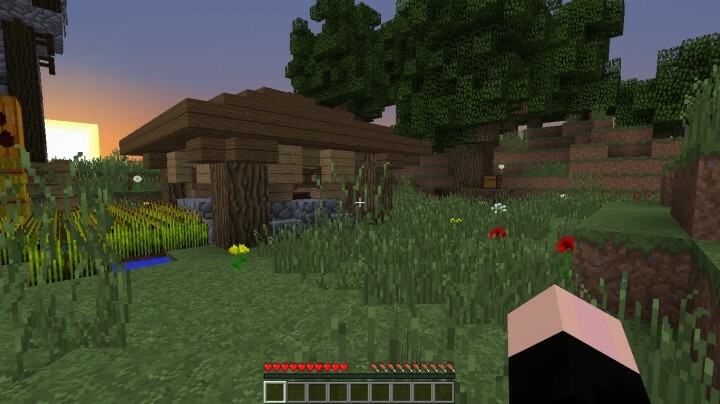 Just download this map and you can play Syndicate games! No, you don't play it one time. you can play it as often as you want! 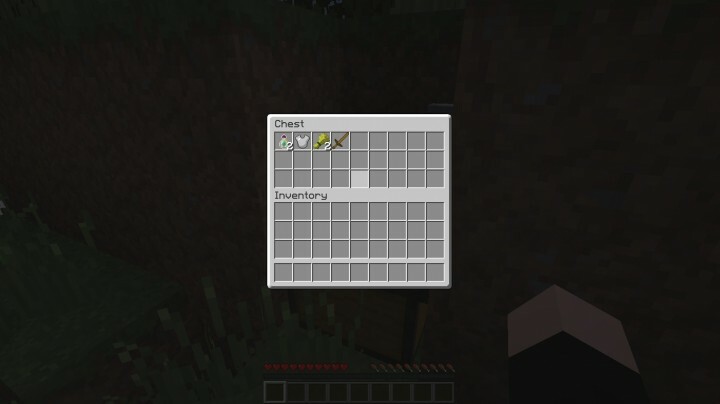 + Chests appear on different spots each game! 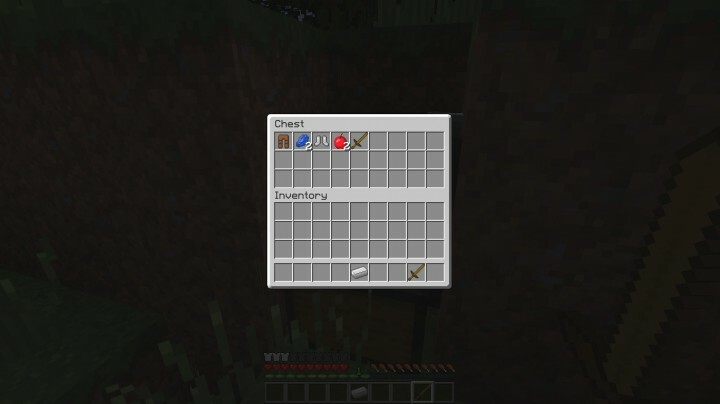 + Chests contain different stuff every game! + The opponent does not open chests, but it also gets better stuff. Still reading? Download and play! you will like it! When you still have time to read, you also have time to give me a diamond! bli blam bew pa bla bla ble blawowa bla!! 1. Sydicate Games is a 1v1 pvp game, so only one Zombie. I know why it was so easy for you, because you have a weak computer so the zombie laggs around and does not do anything. On a stron computer your winning chance is about 40% (Only when you know the best strategy to do it, otherwhise about 20%). I don't know what suffle means. now heres some tips. u need to put in more zombies cause its too EASY! and make a bigger playing area. Try again. now it's not too easy anymore! 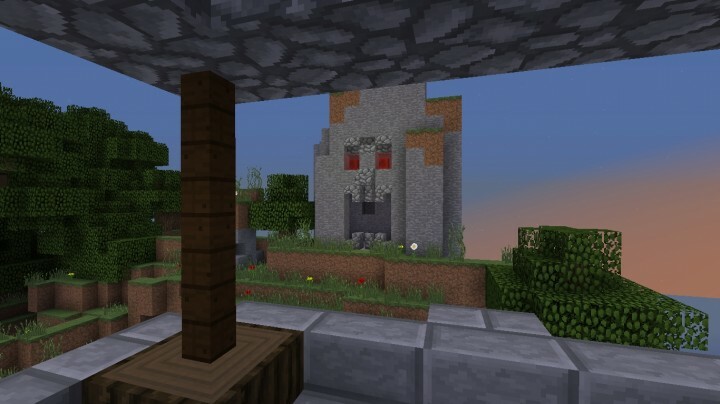 I will not add more Zombies, because its not hunger games, it's syndicate games, a 1v1 pvp. A bigger map sound great, but is much work. Maybe when I have time.